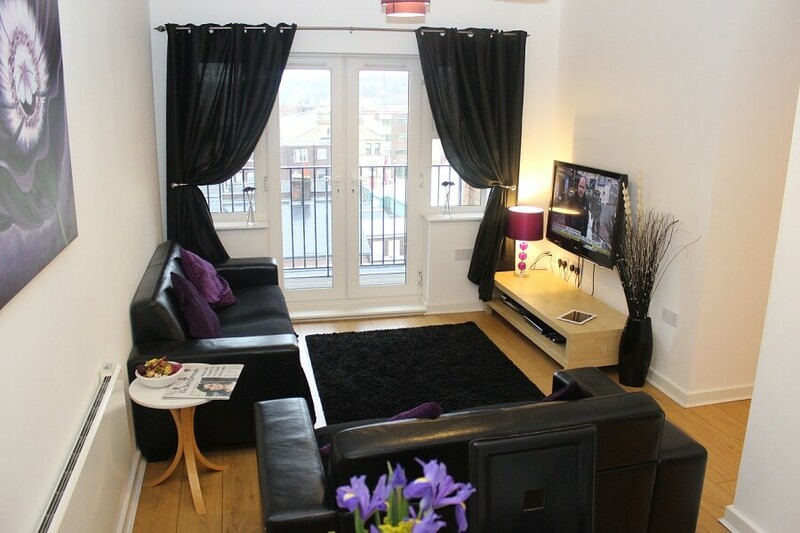 Two bedroom serviced apartments with 2 double bedrooms, sleeps up to four people. 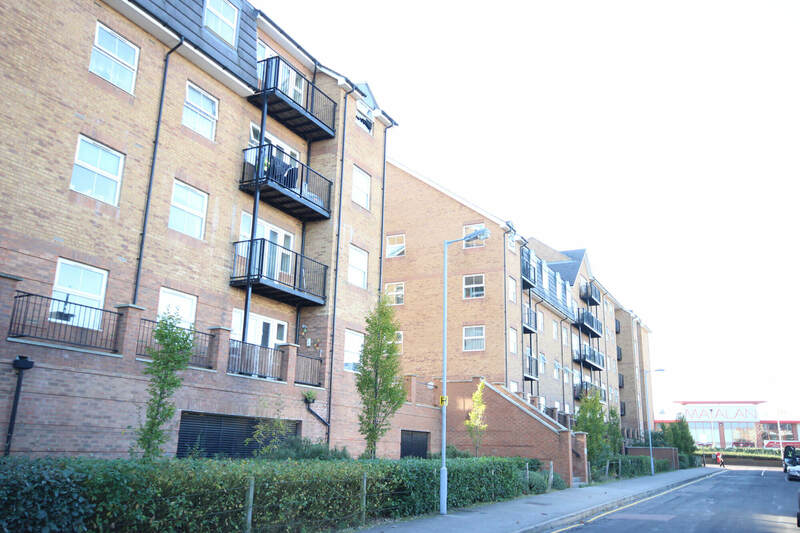 This centrally located development offers comfortable, stylish accommodation close to shopping, eating out, entertainment venues and is just a few minutes journey from travel links including London Luton Airport. The apartment is well furnished with all the essentials needed for a comfortable and relaxing stay, including a fully equipped kitchen with modern appliances so you can enjoy eating in and inviting visitors, two comfortable bedrooms and an open plan living/dining area with balcony for a home-from-home stay. These serviced apartments are ideal for business travellers – especially colleagues sharing, leisure travellers, couples and families. 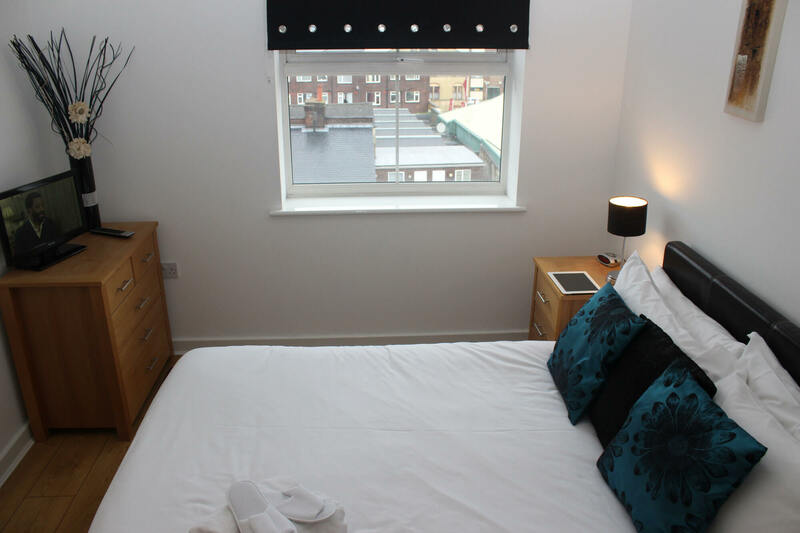 These two bedroom, one bathroom serviced apartments are ideally located close to the main town centre of Luton so shopping, eating out and entertainment venues are easily located on your doorstep. 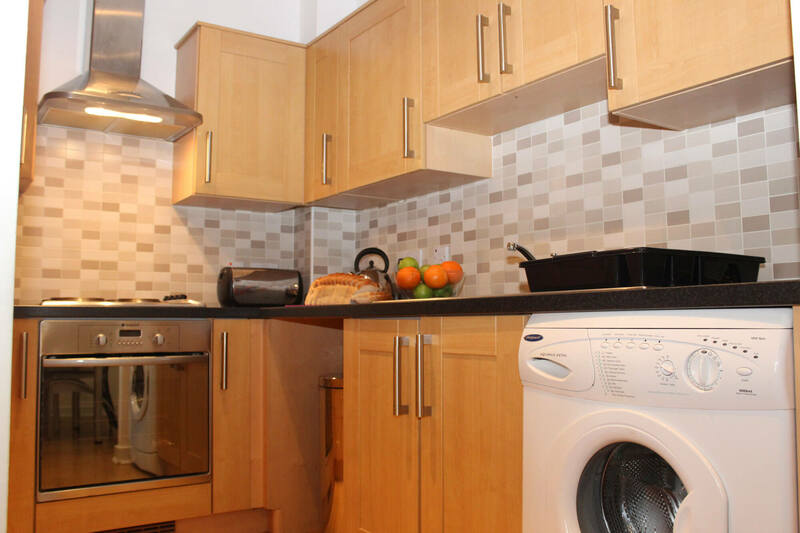 When staying at one of our Academy apartments in Luton you will enjoy a modern serviced apartment, stylishly furnished and benefiting from a fully equipped kitchen with built in appliances and all the essentials required to prepare meals and to do your laundry. The living/dining area offers light, spacious accommodation with a private balcony, complimented by two comfortable bedrooms. The main bedroom includes a TV with built in DVD player. 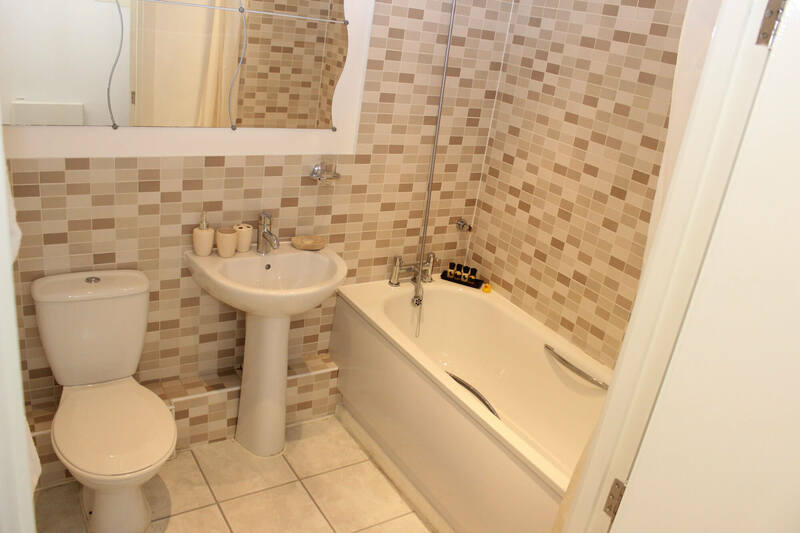 The bathroom is clean and functional with a bath and shower. Luton train station is just a 5 minute drive or a 15 minute walk offering quick and easy travel links to other Cities with London Euston station just a 40 minute train journey. London Luton Airport is just a couple of miles away, so these apartments also lend perfectly for airport staff or if you need a stop gap before you fly!